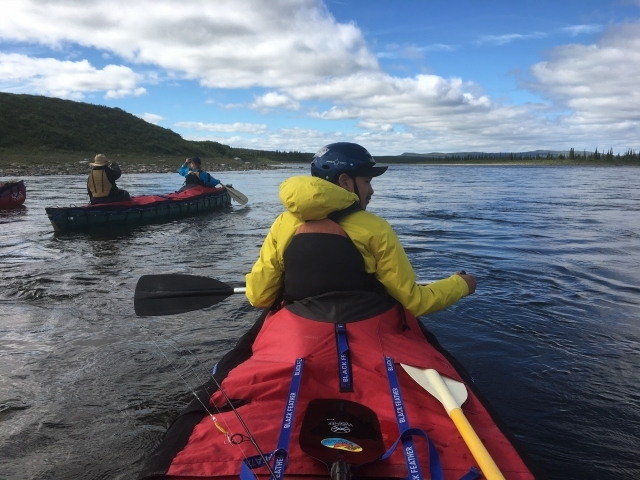 Coppermine River 2018 The Canadian Canoe Foundation teamed up with the Ayalik Fund in order to implement this youth cultural learning and environmental education program. 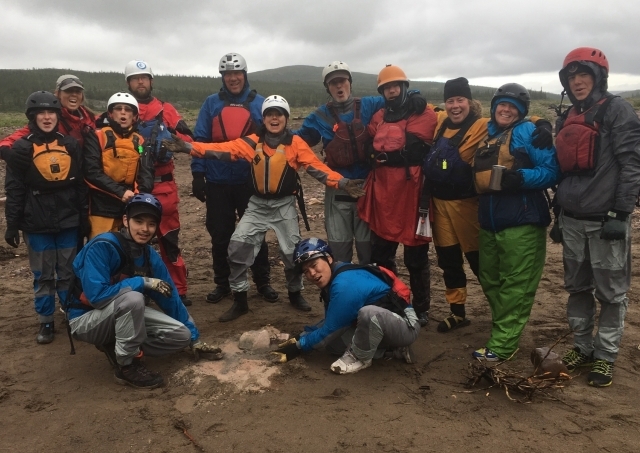 The project saw a group of 14 youth from across Canada participated on a two week canoe trip on the Coppermine River. 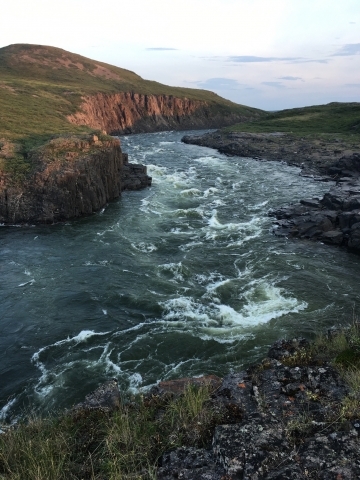 The group met in Yellowknife and flew into the Coppermine River, and finished their adventure at the Coronation gulf of the Arctic ocean. 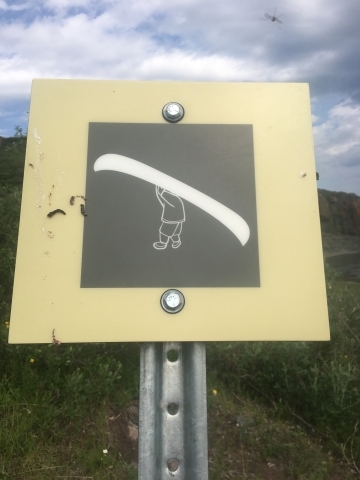 In that group were 2 youth from Kugluktuk, the village at the mouth of the Coppermine River. 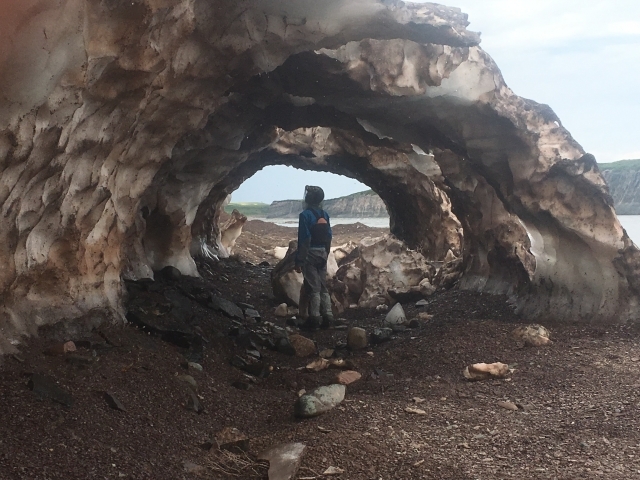 They were sponsored by the Ayalik Foundation which has been created to provide life changing adventure opportunities for Inuit youth across the Canadian arctic. 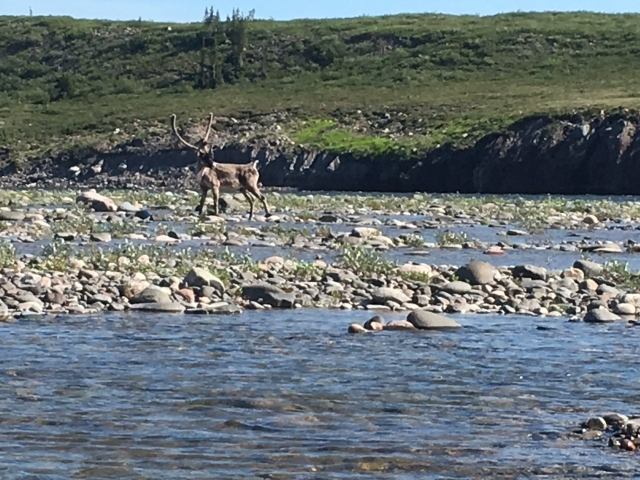 The trip involved paddling 250 kilometres, running lots of big rapids, portaging around the historic Kugluk Falls (Bloody Falls) and of course camping safely with grizzly bears, wolves, caribou, Muskox, and a few million mosquitoes! 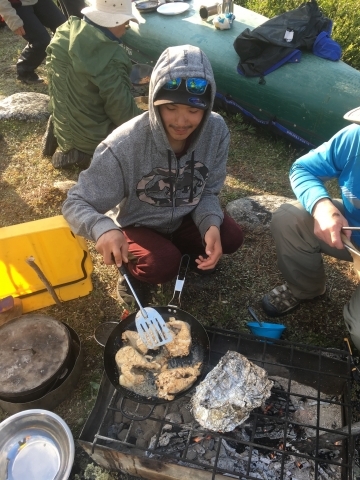 The group was lucky to catch and eat six arctic char. 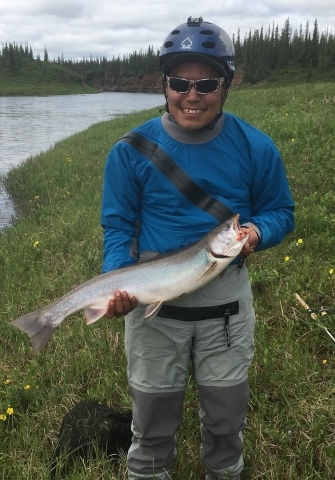 These are big and beautiful fish that fed them for days! 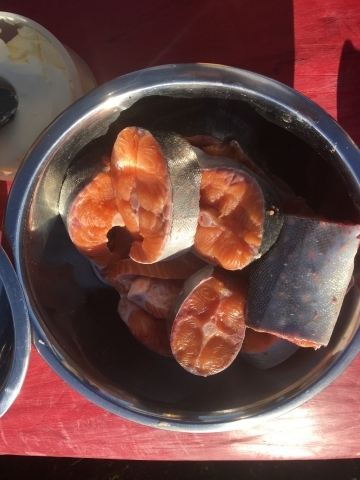 The group even dried some of the char so they could snack on it later on during the trip. 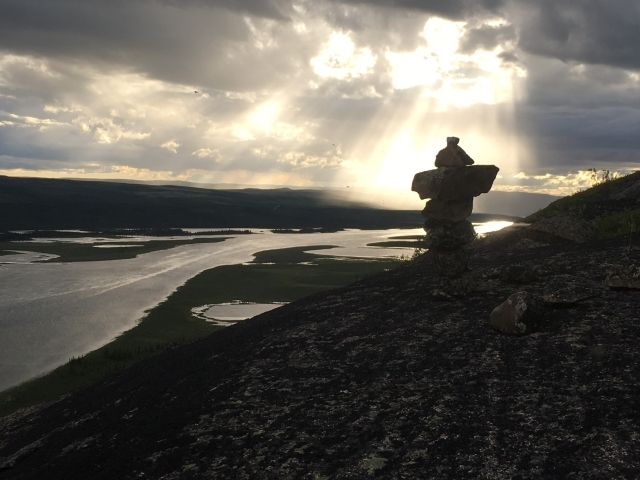 The Coppermine River valley is also amazing for hiking since there are almost no trees. 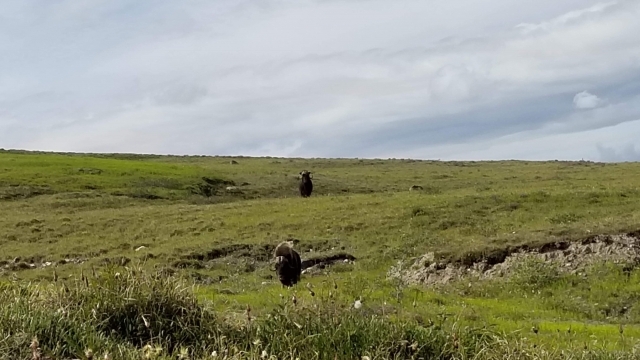 The river valley itself has some trees, but with a five-minute walk you can be out of the valley and trees and see for miles across the tundra. Having daylight all night was another incredible part of this trip. It made it hard to go to bed at night with there always being so much more beautiful scenery to look at. 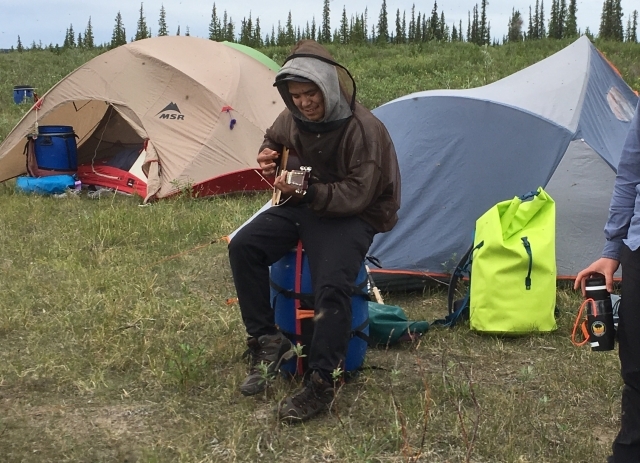 Once the group arrived in Kugluktuk there were many friendly people that came out to welcome them and celebrate the success of the trip. 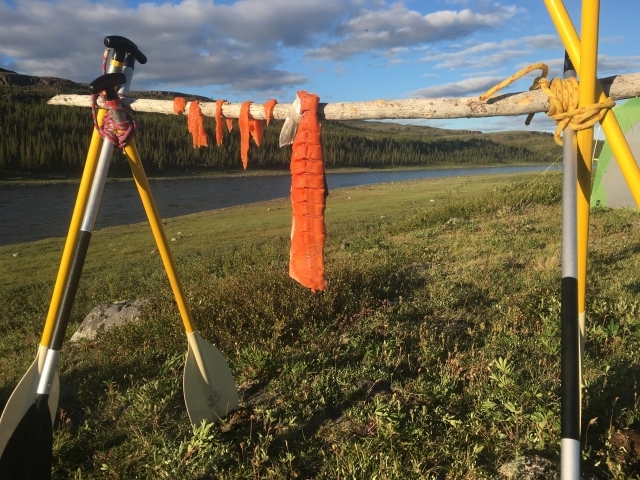 Although Thomas and Bertrum, the youth from Kugluktuk had learned some basic canoe canoe skills before the trip they had never taken on an adventure like this before. 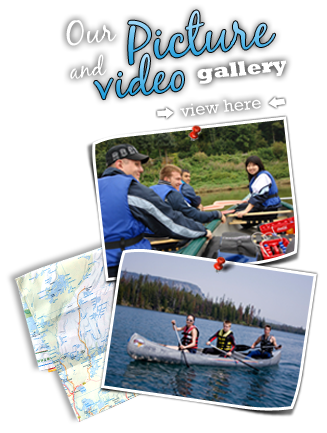 With the skills and experience they have gained they now have the opportunity to pursue a future of canoe trip guiding. 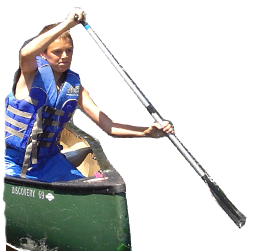 Thank you to Colin Bunge and the Ayalik fund for making this youth canoe-trip learning adventure possible!